I am getting problem in full stop rule. I am trying to replace … this … expression but I am unable to have any output it gives me blank output. Can anyone please share code for this rule? Actually, it doesn’t show me anything after period (.) I unable to see any word after full stop how can i fix this rule? I am sharing screenshots with you. If you have any query please let me know. 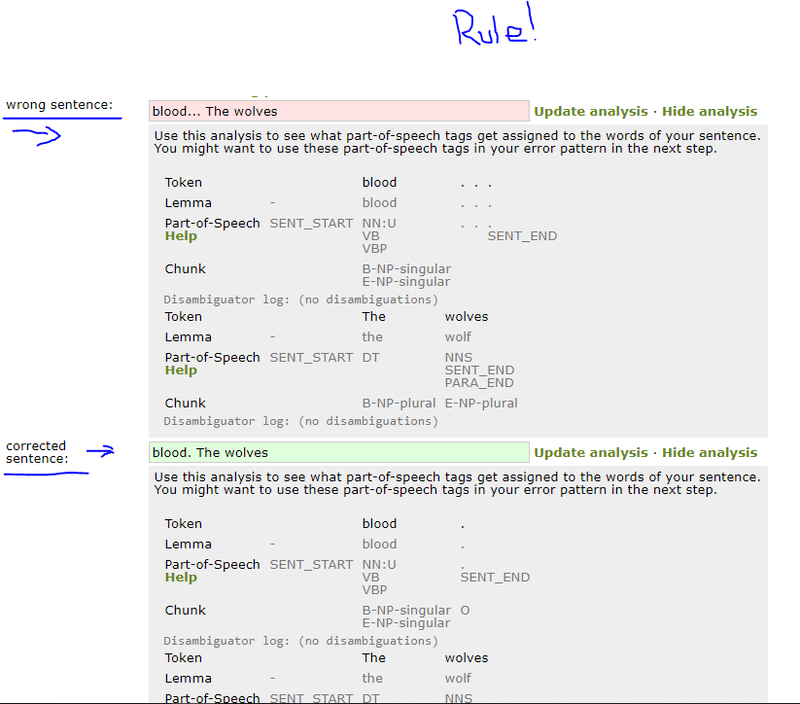 The rule editor in simple mode only works properly inside sentences, it cannot create rules spanning several sentences. In other words, even the example can only be one single sentence. Here I want to replace period (.) with comma (,), How can I do it? 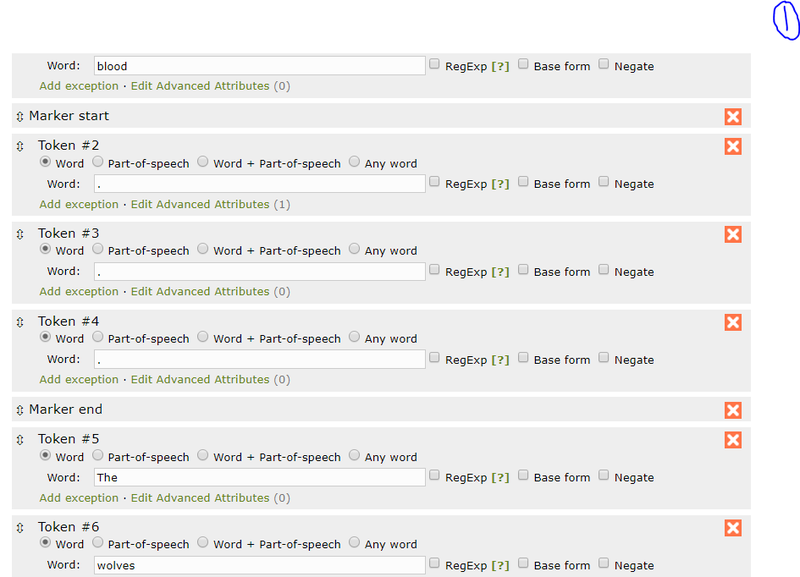 How we’ll deal rule in this editor? what will be code of that problem? XML-based rules generally work on sentences. 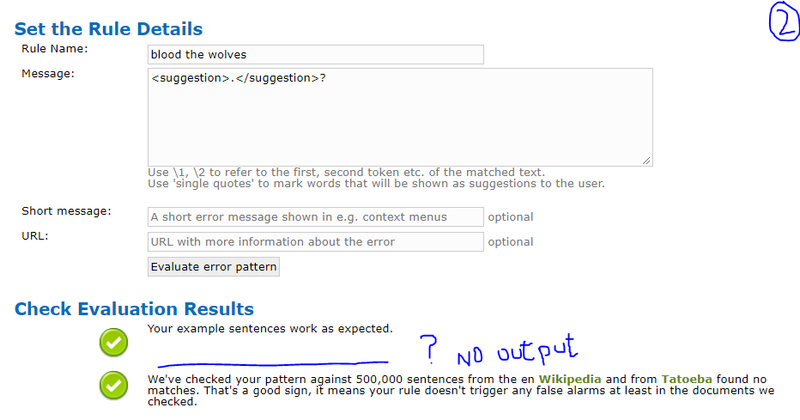 Thus, if the sentence splitting isn’t correct, as in your example, you probably cannot use XML-based rules for that. You’d need to write a Java-based rule (as briefly described here under “Adding new Java rules”).